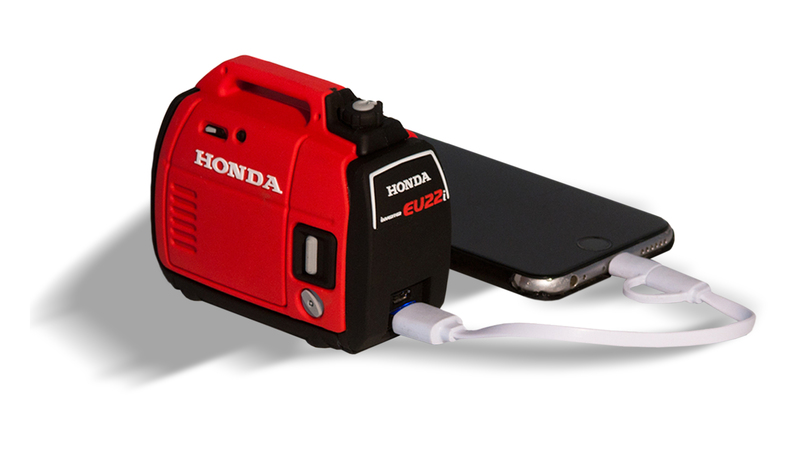 Create a custom power bank in the shape of the all-new EU22i Honda generator as gifts to Dealer Principals who attended the Power Equipment National Dealer Conference and if successful, add to Honda merchandise range. Marketing a new product is always difficult and Honda were looking for ways to market their all new EU22i in a cool way. That’s when they came to Impact to design a miniature version of the generator. We designed a concept visual of the power bank for signoff from Honda and went to work on preproduction samples. After signoff, we went to mass production and delivered in a timely manner. The Directors and Dealer Principals were so impressed with the outcome, the power banks were added to the merchandise range and rolled out nationally! Great win for both Honda and Impact!